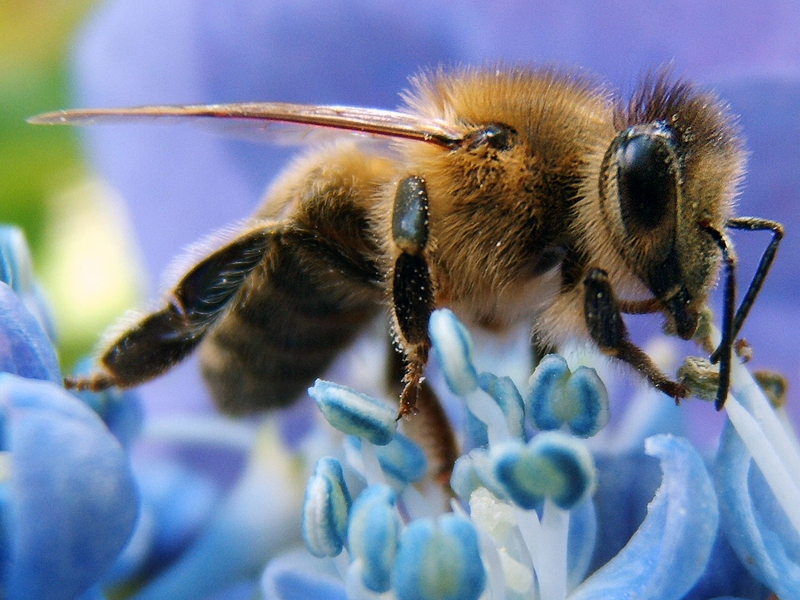 Can Bees Suffer From Addiction? For several years there has been an ongoing debate about the use of pesticides. Your environmentalist groups think all pesticides should be banned because of the harm that they cause the environment, while other groups feel they are a necessary evil. After all nobody wants to see their entire crop fall victim to pests. No matter what side of the argument you fall on pesticides can certainly be causing more harm than good depending on what pesticides are being used. One of the biggest debates about using pesticides on crops is if it is killing off the bee population and we all know just how important bees are to crops. If bees were not busy flying from crop to crop, pollination would never occur. So, many farmers are concerned with the decline in the bee population thanks to the use of pesticides. However, it seems there is a new problem for bees in regards to pesticides. New research has been released that is showing bees are possibly becoming addicted to nectar that has been laced with nicotine like chemicals that are found in some pesticides. This is similar to humans being addicted to cigarettes because of the nicotine found inside of them. Another study that was also done on bees and the harm these chemicals have on them found that the exposure to neonicotinoids has a negative effect on colony growth and reproduction in some species. To help protect the future of bees, Europe has already placed a ban on three of these types of pesticides. However, they are the only country to currently do so. Everybody else is still debating on whether or not lower doses will have less of an impact on bees. Companies that support these types of pesticides, which includes their manufacturers claim these are great products because they increase crop yields while destroying pests. To help put an end to this debate researchers at Newcastle university, including Geraldine Wright, performed a live study with bumblebees and honeybees. In this study they have bees a choice between sugar water and sugar water that had been laced with an extremely low dose of neonicotinoids. What these bees did shocked her. All of them chose the sugar water that contained the pesticide, which means chances are good that bees out in the open would opt to too. This choice is concerning to researchers because the bees are intentionally opting for something that is helping affect their survival. Bees that sip on pesticide laced nectar have troubles with their motor function, but they also face problems collecting food and foraging. This is thanks to the chemicals in the pesticide that act like nicotine. At such low doses the chemicals aren’t enough to kill off the bees. The small amount they are getting creates a buzz, similar to that of what happens in humans from drinking. More and more research is being collected that is quickly disproving the theory that these pesticides don’t harm wild bees.